Fire Loss Caused By Negligence - Michigan Fire Claims, Inc.
Home > Fire Claims > Fire loss caused by negligence… will my insurance policy cover it? 04 Sep Fire loss caused by negligence… will my insurance policy cover it? Most fires are caused by some sort of human error; therefore, negligence is easily implied. One could have better supervised the kitchen, the candles, the stove, fix those electric outlets, etc. The fact is, in most cases, the homeowner bear some responsibility. Can the property loss claim be denied on grounds of negligence? Not usually. Unless the policy owners purposely set the fire (in which case is classified as arson), the fire loss is covered by the homeowner policy. That is why you have the policy in the first place, for “accidental” losses. In the majority of the cases, the cause of the fire is hard to determine, and the policy owners may not have a clue either. However, as fires cause extensive property damage, from flames, smoke, and the water used to control it, fire restoration costs are particularly high. Therefore, the insurance company may send an “cause and origin” investigator and go to great lengths to determine the actual cause of the fire. They may ask a lot of questions, ask for a sworn statement, even a lie detector test. What information should you relate to the fire investigators? 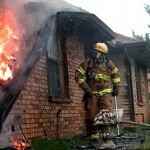 Will what you say affect your chances for a successful fire claim? Should you make an independent determination of the cause of the fire? How should you prepare for the examination under oath? In an ideal world, honesty is the best policy. In one where companies are trying to save every penny and will assume the worse of you, it may not be.